Thanks to all our ASHI and MEDIC First Aid instructors who answered our recent benchmark survey. Among the comments we received were some requests for more information on our LOOP Learning System, so today’s post offers up some Q & A about our favorite CPR learning resource. 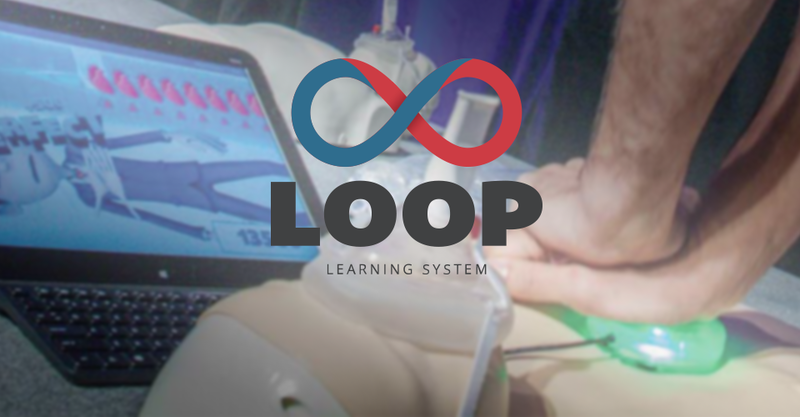 A: The LOOP Learning System features LOOP CPR skills games that use interactive music, video, head-to-head competition, and other game-related concepts to create a compelling training experience ideal for today’s adult learners. Q: Does LOOP only work for full CPR, including rescue breaths? A: LOOP also comes with a compression-only setting, so no matter if you are teaching a certification class or simply a compression-only public awareness class, you can still bring the fun by using LOOP in your classroom. Q: What does LOOP measure? A: Compression depth, compression rate (100, 110, or 120 compressions per minute), and ventilations. Q: How does LOOP help my students? A: LOOP encourages and incentivizes students to perform skills practice longer and more in-depth than traditional "static manikin-only" methods. And with increased practice comes better memory retention and increased confidence. Q: How can I see the LOOP in action? A: Check out our video right here! Q: Is LOOP now required in my ASHI and MEDIC First Aid classes? A: No, LOOP is not a certification requirement. LOOP is a resource available for purchase that you can use to enhance your classes and make your CPR training the one your students will never forget. Q: How do instructors use LOOP in their classrooms? Use LOOP prior to class to have your students set a benchmark score for their current skills. After class, students can use LOOP to see how their scores improved. Offer a prize to the student with the most improved score. Use LOOP during your class as skills practice to help students prepare for their final skills verification. Up the ante with a contest for the highest score. Do you attend community events to showcase your business? At your next event, have LOOP available for attendees to play. You’ll generate buzz for your business and engage community members who may want to take a CPR class. Best of all, community members will already be working on their skills by playing the game at your booth. Set up LOOP in your company’s (or your customer’s) break room or training room and host a LOOP contest. High score during the contest wins a small prize. Employees will spend time refreshing and practicing their CPR skills while working toward the high score. All while having a good time! LOOP Master – Award a certificate or medal for any student that scores a certain score. They leave class with their CPR certification and their LOOP Master credentials. Double bonus! Check out our blog post to learn how one instructor took his LOOP Learning System to a whole new level by creating a portable LOOP kiosk! Q: How can I buy a LOOP? A: LOOP can be purchased through your Otis portal just as you would buy any HSI product. Questions about LOOP? Our representatives are here to help! Call us today at 800.447.3177.